Digital banner ads have played a major role in digital marketing since the first days of the World Wide Web. Visual marketing and visual advertising convert. They generate leads, sales, increase awareness and help us grow our brands and businesses. The revenue per user generated by display advertising is constantly growing. If we’re to look at the stats from the last couple of years, we have solid proof on the effectiveness of banner advertising. From $66 per user revenue in 2015, digital banner ads generate the astonishing $85 revenue per user in 2018 and the trend is growing. How did it all start? How did digital banner ads evolve throughout their history? Maybe you already know this fact, maybe you didn’t. 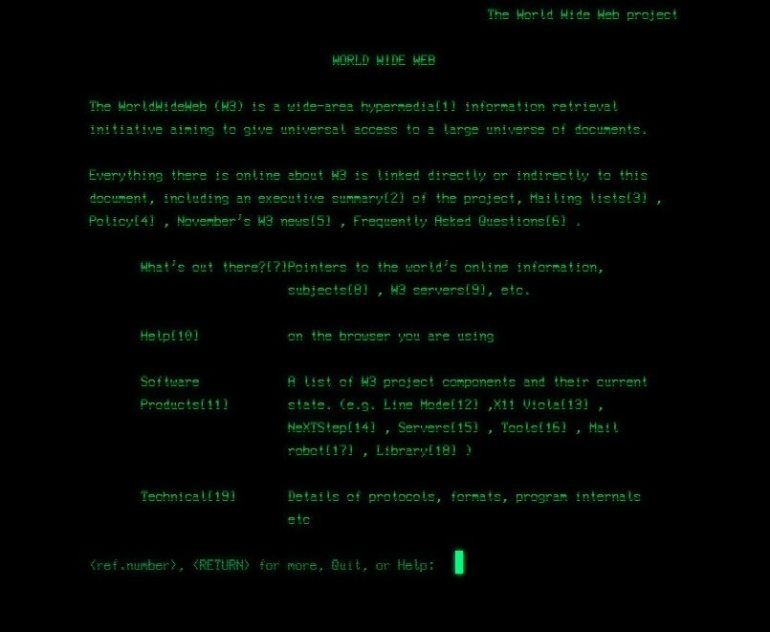 The World Wide Web went live in 1991, a few decades after the whole Internet idea was first implemented. Back then, nobody really cared about the Internet. In fact, most of the people didn’t even know what Internet was and how useful it can become. For the next couple of years, the WWW became more and more popular. Domain names became accessible to anybody and millions of websites were being set up and launched every year. Thus, it didn’t take long for the advertisers to find out how important this new channel of communication can be. It was only the year 1994 when the first display banner was embedded onto a website. And digital banner advertising, as a whole new industry, was born. Well, the first company to pay for digital banner ads was AT&T. The web page that hosted the first banner was HotWired, the former website of the well known digital magazine from today, Wired Magazine. AT&T paid $30,000 for the banner to be displayed for three months on the website. What’s incredible about this banner is that it had a 44% click-through rate which at today’s standards (0,06%) is closer to a miracle than reality. There was nothing special about the banner but it was the first. Moreover, it was clickable and easy to notice due to its colorful letters. Another interesting fact is that the size of the banner was 460×60 pixels, a popular display banner size that is still in vogue today and probably will for a long time from now. It was placed at the leaderboard spot, at the top of the website, in the header area. This made it more visible and therefore, more clickable. We’ve learned that the first digital display banner ad space was purchased in 1994. It only took a few months after this event, for the first digital advertising companies to launch their business. In 1995, for example, WebConnect, an advertising agency, was already helping their clients target their banners online. However, apart from the banner that was published by Hotwired, what did all other banners look like back in the day? And how did they evolve into what they are today? What were the most popular formats over their more than two decades history? Well, starting with the first banner, the most important factor in the online advertising evolution was the technology. Banners evolved along with the Internet speed and the technological progress of computers. Those of you who got to experience the WWW in its early years, you know how slow pages used to load on a dial-up connection. Nobody could even imagine a video ad twenty years ago. At first, there were simple static banners, followed shortly by gif animations. There were a few years when flash banners took over the Internet up until recently when the new HTML5 standards got into the spotlight. Static digital banner ads are still widely popular and they evolved as well during the last decades. However, the most visible evolution was that of the animated banner. How did the technological advancements influence the advertising industry? Over the years, computers became increasingly faster and the web browsers, better at displaying different types of HTML codes and file types. The Internet access became widespread and with popularity, came a race between Internet providers who aimed at increasing the browsing speeds. Also, different file types evolved along with the Internet speed up to the point that almost all restrictions were abolished. At first, Gifs were the only way to display animated banners. The advantages of this file format are numerous but there were some disadvantages as well. There is a limitation in color tones and image quality when it comes to Gifs. This is one of the main reasons why advertisers choose to make them flashy and very colorful. They needed banners that were able to stand out from the crowd. They needed banners that were easily noticeable by the viewer and at the same time, clickable enough for them to convert. Another example of an animated Gif banner. Flashy does not mean better. As you can see from the above examples, some of these banners got to be quite annoying to the audience. However, nothing is eternal and like most of the people, advertisers learned from their mistakes. And, once Flash was released, a new type of animated digital banner ads appeared. At its time, flash technology was considered a breakthrough. And, for many years, it was the best environment for designing and scripting animated digital banners. The digital banner design changed drastically once the flash technology was launched. It wasn’t the perfect choice but at that time, it was the best in terms of quality and versatility. 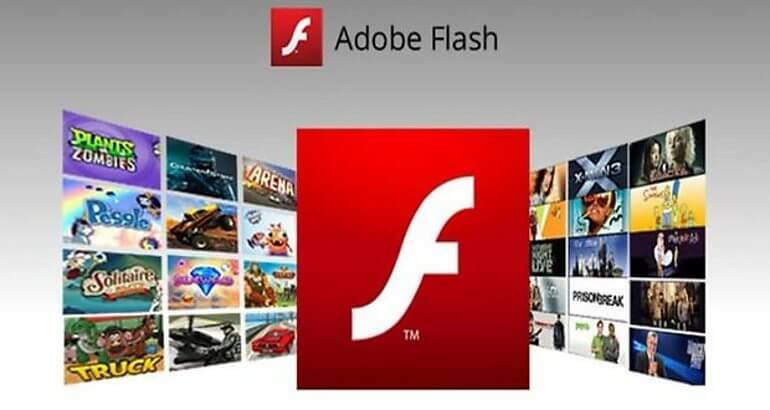 Flash was first launched in 1999 by Macromedia, a company that was later acquired by Adobe. One year later, the plugin managed to rule over its competitors, Java and QuickTime and took over the digital market, including the digital advertising market. Flash prevailed also due to the fact that starting mid-decade, it facilitated video streaming as well. It was video streaming at a poor quality considering today’s standards but still, it was a huge shift in the way media was broadcasted via the Internet. 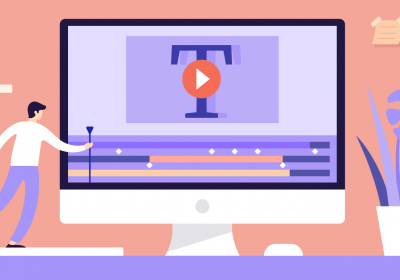 After Adobe acquired Macromedia and developed Flash’s action script programming language, Flash became even more popular as it allowed advertisers to create interactive banners and even small video games. However, everything must come to an end eventually, good or bad. It happened with Flash as well and it wasn’t that long ago. Many advertising platforms chose to ban flash banners, browsers lost their native compatibility. Flash is still available today as a third party plugin and it is still working on some browsers. However, when it comes to advertising, it has exited the mainstream. Why did it happen? Over the years, Flash had presented itself with numerous security breaches. This led to constant updates and patches which gave us several versions that were not backward compatible. This means that browsers were able to render flash banners one day and unable to do the same thing the next day, after a major update. Users needed to reinstall the whole plugin in order to keep the pace with the changes and secure their browsers and computers. Now, there are many versions of the plugin installed on users’ computers and some of them are quite outdated. Flash is a third party software. This means that in order to view flash files, you needed to install the plugin. It takes a lot of effort for people who are not skilled in doing this or for people who operate public/work terminals. If you are unable to update your plugin and have to wait for a professional to do it, there are many times you will not be able to view flash files on your computers. This is a major setback for a marketer or an advertiser who cannot be sure if their banners will eventually reach the targeted audience in due time. Flash consumes a lot of resources. On mobiles, it drains out the battery but desktops owners are not careless either about resource related issues. 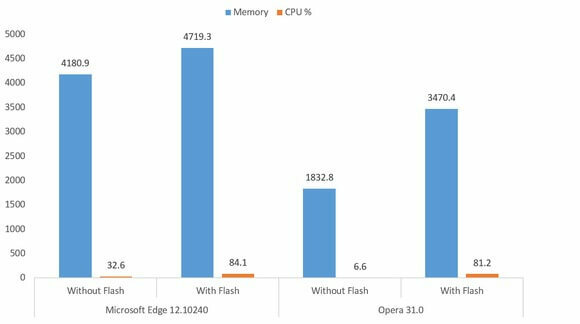 Here’s an interesting article from PCWorld on how the Flash plugin destroys your browsers. If you were not convinced yet about why regular users, marketers and advertising channels migrated away from it, this article will definitely do it now. As you can clearly see, there are at least three major reasons why Flash is no longer the first choice for a digital banner designer. 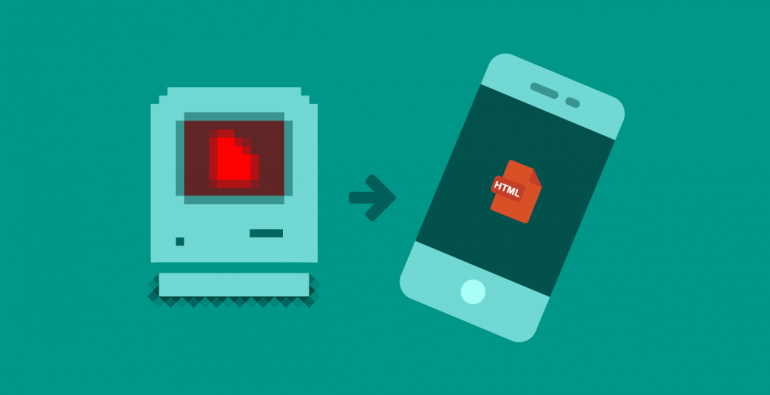 Now, let’s move on to the next step in the digital advertising evolution, the HTML5. HTML5 is not a new concept. The new Hypertext Markup Language has been around for almost 10 years. However, its official and final specifications were released in 2014. Since then, all browsers were updated to be fully compatible with it and marketers have begun to discover its true power. Why is HTML5 better than anything else? HTML5 is supported by all browsers. Unlike Flash, for instance, you can display HTML5 banners and videos on any device, desktop or mobile whatsoever. HTML5 is native to all browsers. This means that you do not have to install third-party plugins or other software programs in order to run an HTML5 based script. All you need is an up-to-date browser and nothing else. There’s no need for other proprietary plugins in order to create complex multimedia projects. HTML5 allows multimedia elements. Moreover, these elements are now also native to the scripting language. You can create interactive banners, animated banners, and video streams without using anything else than HTML5 code. Remember that this code is natively supported by your audience’s browsers and as a consequence, you don’t have to worry about compatibility. HTML5 is lightweight. It doesn’t consume resources, at least no more than a web page. This means that multimedia files scripted with HTML5 will not affect the battery of your mobile device the same way as Flash used to do it a few years ago. 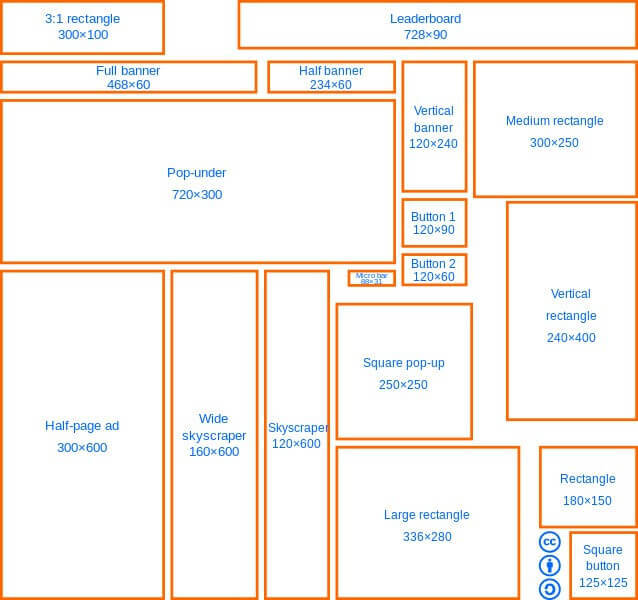 What are the standardized digital banner sizes? Before learning how to make a digital banner with HTML5, you need to understand first the basic concepts of digital advertising. One of the most important such issues is how to choose the proper sizes for your banners. If you are working with Bannersnack, there will be no problems as our tool allows you to design your banners using already made presets for all major social media platforms and of course, the most popular digital banners sizes. In case you want to design them from scratch with another design tool, you should know that standardized sizes for digital display banners’ design exist almost from the first days of digital advertising. As we’ve already discussed in the opening paragraphs of this article, the digital advertising saga started with a 460 by 60 pixels banner. More and more sizes were implemented in the following years, leading us to the present days when we are relying mainly on the banners sizes described in the above picture. Digital advertising is an important part of our lives, whether we are marketers, advertisers or regular Internet users. We’ve learned together how everything started, when and where the first digital marketing banner was launched. Over the years, the way we receive and publish digital display banners has changed several times. However, most of these changes were technology related.